(Reuters Health) – People who develop high blood pressure before age 40 have a higher risk of heart disease and strokes in middle age, two new studies suggest. One of the studies followed 4,800 young adults in the U.S. and found elevated blood pressure before age 40 associated with up to 3.5 times greater risk of heart disease and strokes over about 19 years of follow-up. The second study examined data on almost 2.5 million young adults in South Korea over a decade and also found high blood pressure before age 40 was linked to greater risk of heart disease and strokes. Women in this study had up to a 76 percent higher risk of cardiovascular disease, while for men the risk was 85 percent higher, compared to peers with normal blood pressure. “Elevated blood pressure in early adulthood can result in heart attacks by several mechanisms, and these levels of blood pressure may progress to higher levels over time,” said Ramachandran S. Vasan of the schools of medicine and public health at Boston University. For the studies, both published in JAMA, researchers assessed high blood pressure using new, more aggressive target levels recommended by the American Heart Association and the American College of Cardiology in 2017. The new recommendations were based on emerging evidence suggesting that even slightly elevated blood pressure early in life might be a precursor to cardiovascular disease as people age. Patients were classified as having hypertension when the “top number,” or systolic pressure (reflecting the pressure against artery walls when the heart beats), averaged at least 130 mmHG (millimeters of mercury). They were also considered to have hypertension if the “bottom number,” or diastolic pressure (reflecting pressure against artery walls when the heart rests between beats), averaged at least 80 mmHG. Before the new recommendations in 2017, people were not diagnosed with high blood pressure until they had measurements of 140/90 mmHG or higher. Not all doctors have been treating patients using the new, more aggressive blood pressure target, in part out of concern that long-term use of medications to lower blood pressure might have side effects, such as diarrhea or constipation, dizziness, fatigue, headaches, nausea or vomiting or mood disorders. While young adults with high blood pressure should consider the potential for medication side effects, they may be able to manage their blood pressure with lifestyle changes like eating better or exercising more and they should discuss these options with their doctor, said the senior author of the Korean study, Dr. Sang Min Park of Seoul National University Hospital. Lifestyle changes are not only beneficial in reducing blood pressure and cardiovascular disease risk but could also lead to improved physical and mental health, Park noted. Neither study looked at whether aggressive blood pressure treatment might stop people from developing heart disease or dying from it. But the results still suggest that treating blood pressure more aggressively at a younger age might help minimize the risk of premature heart problems later in life, said the U.S.-based study’s lead author Dr. Yuichiro Yano of Duke University in Durham, North Carolina. “Our study is among the first to report that people younger than age 40 who have elevated blood pressure or hypertension are at increased risk of heart failure, strokes and blood vessel blockages as they age,” Yano said by email. SOURCE: bit.ly/2PQI24U, bit.ly/2qAZQD9, bit.ly/2PfMNFG and bit.ly/2PPqZjU JAMA, online November 6, 2018. 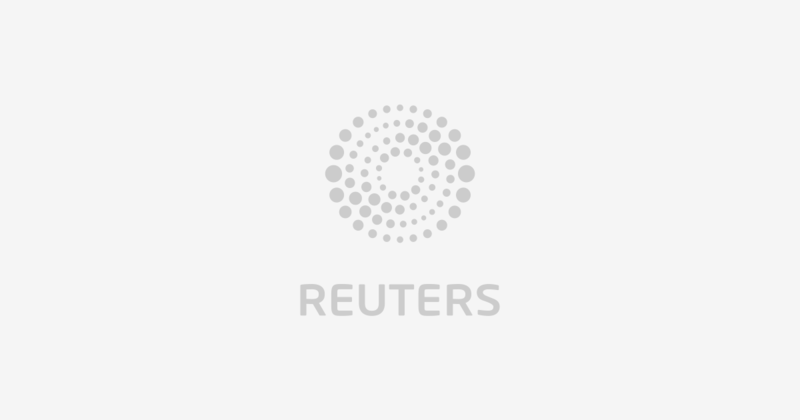 BEIJING (Reuters) – China has detected. A 4-month-old baby boy was found. FILE PHOTO: The Merck logo is. Who said potholes are bad? Paramedics. CHICAGO – Accidental suffocation is a. (Reuters Health) – Suicide rates grow. Skipping breakfast and eating dinner close. New York City’s Board of Health.